Holabird Western Americana Collections' five-day auction, titled Treasures Galore, will be held Jan. 24-28 in Reno, Nev.
Edison-Swan British patent archive (circa 1880-1883) pertaining to incandescent lighting (est. $10,000-$20,000). 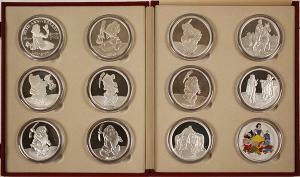 Complete set of 11 five-ounce 999 silver medallions for the 50th anniversary of Snow White and the Seven Dwarfs (est. $1,700-$3,000). Display board containing a near-complete set of the first 40 issues of the Society of Medallists, 1930-1949 (est. $2,000-$4,000). Historic 500-troy ounce bullion scale made by Troemner out of Philadelphia for the U.S. Mint (est. $7,500-$10,000). Stock certificate for 75 shares for the Eureka & Colorado River Rail Road Company (Nev.), from 1882 (est. $500-$1,000). The auction will be held online and in Holabird’s gallery located at 3555 Airway Drive (Suite 308) in Reno. Offered will be nearly 4,000 lots of Americana. RENO, NEV., UNITED STATES, January 11, 2019 /EINPresswire.com/ -- RENO, Nev. – Holabird Western Americana Collections is following up its massive “to die for” auction in December with another five-day colossus comprising nearly 4,000 lots of Americana. The auction – appropriately titled Treasures Galore – will be held Thursday to Monday, January 24th thru 28th, online and in Holabird’s gallery located at 3555 Airway Drive (Suite 308) in Reno. Start times all five days will be 8 am PST. An office preview will be held Wednesday, Jan. 23rd, from 9-5 (or by appointment). For those unable to attend the sale in person, online bidding will be facilitated by iCollector.com and Invaluable.com. “This is the third sale in what has been an exciting fall and winter season,” said Fred Holabird of Holabird Western Americana Collections. Day 1, on Thursday, January 24th, will kick off with nearly 100 lots of antique bottles, many of them from the Geoff Pollock Collection, gathered throughout Utah. Offered will be whiskeys, medicines, poisons, cures, beers and more. Specialty lots like the three gorgeous Boca, California beers will supplement the category. Bidders looking to diversify their collections will be pleased. 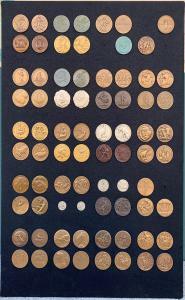 The numismatics section – more than 200 lots – will feature token dies, tokens, medals, coins and currency, checks, books, ingots, so-called dollars and selections from the Medallic Arts / Northwest Territorial Mint liquidation, led by a display board containing a near-complete set (72 of 80 medals) of the first 40 issues of the Society of Medallists, 1930-1949 (est. $2,000-$4,000). Other star lots on Day 1 promise to be a complete set of eleven five-ounce 999 silver medallions marking the 50th anniversary of the release of Walt Disney’s Snow White and the Seven Dwarfs, from 1987 (est. $1,700-$3,000); and an historic 500-troy ounce bullion scale made by Troemner out of Philadelphia for the U.S. Mint, with the original blue paint and base (est. $7,500-$10,000). The session will also feature general Americana lots in various categories, to include American directories, 30 or more maps, history and reference books, badges, comic books, World’s Fair and Expos, political memorabilia, dolls, circus collectibles, breweriana, cigar and tobacco, Gold Rush items, jewelry and watches, postcards, toys, stereoviews, vintage apparel and Civil War. Day 2, on Friday, January 25th, will start more Americana, including selections of non-mining and railroad stocks from the Ken Prag collection. Two significant archives will be sold: the Edison-Swan incandescent light patent archive from England and the Van Camp Hardware (Indiana) archive of about 3,500 pieces. Also sold will be railroadiana and rare western rails. The Edison-Swan patent archive (circa 1880-1883) pertains to one of the most important modern inventions: incandescent lighting. 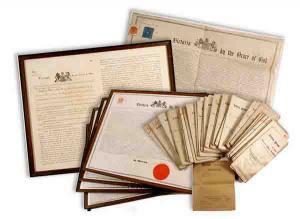 The archive consists of original British patents issued to men working for Thomas Edison or Joseph Swan as part of the Edison-Swan Company at the onset of the invention and manufacture of incandescent lighting. It has an estimate of $10,000-$20,000. 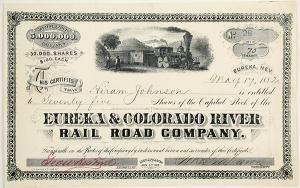 Day 2 will also feature a stock certificate in the amount of 75 shares for the Eureka & Colorado River Rail Road Company (Nev.), issued to a Hiram Johnson, dated May 17, 1882, with a nice train vignette (est. $500-$1,000); and a group of photos showing a family climbing Cave Rock in the Glenbrook area of Lake Tahoe and engaging in other leisure activities (est. $900-$2,000). Day 3, Saturday, January 26th, will see a continuation of Americana across the board, but with an emphasis on all aspects of mining. Most mine ore specimens are from Utah. Also sold will be high-grade specimens from the Geoff Pollock collection, as well as artifacts, old mine lighting, explosives and mining stocks, plus more of the Prag Silver Mountain (Aurora, Nev.) collection. Additional mining lots will feature art, assay, bonds, books, hats, ingots, jewelry, fobs, maps, photos and postcards. Day 3 will also include transportation, Wells Fargo/Express, postal history items, military collectibles and more. One of the more intriguing lots is a baby stingray fossil, probably from the Green River formation, 6.5 inches by 4 inches and framed (est. $700-$2,000). 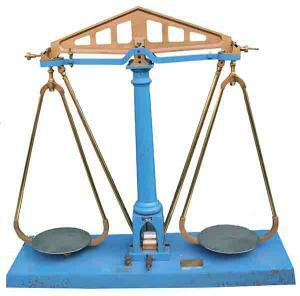 Day 3 also features a Becker fine balance scale, a rare, two-drawer showpiece that was either a lab or gold scale, made circa 1895-1915 (est. $3,000-$5,000). Christian Becker was one of ten balance manufacturers to begin making assay balances in the U.S. The Becker companies (N.Y.) also contributed to the development of analytical balance, bullion balance and specialty scales. Day 4, Sunday, January 27th, will contain more mining collectibles, mostly from the Ken Prag collection, plus additional mining ephemera and stocks, both domestic and foreign. But the day will also feature original art (to include sculptures), Native American art and objects, cowboy collectibles, firearms, gaming and saloon. In total, 685 lots will cross the auction block on Day 4. A Day 4 lot worth mentioning is a rare Yuba County (Calif) “Gold Lands” title, stating that 640 acres of “gold lands” were sold to a company in London, England for $200,000, in 1858. The deed is from John A. Sutter (of Sutter’s Fort fame) to Sylvester Patrick and others, with the grant then going to Edward Lee Hooff, who then assigned it to a Dr. A. Campbell (est. $1,000-$3,000). An interesting Day 5 lot is the original book of stock certificates for the Porter Gold & Silver Mining Company of Butte County, Calif. The book contains about 230 issued pieces and around 250-300 unissued certificates, all showing vignettes of the mine. Lithography was performed by Drouaillet of San Francisco. The book binding shows wear and the estimate is $1,500-$4,000. Holabird Western Americana is always seeking quality bottle, advertising, Americana and coin consignments for future auctions. To consign a single piece or a collection, you may call Fred Holabird at 775-851-1859 or 844-492-2766; or, you can e-mail him at fredholabird@gmail.com. To learn more about Holabird Western Americana's Jan. 24th-28th auction, visit www.fhwac.com.